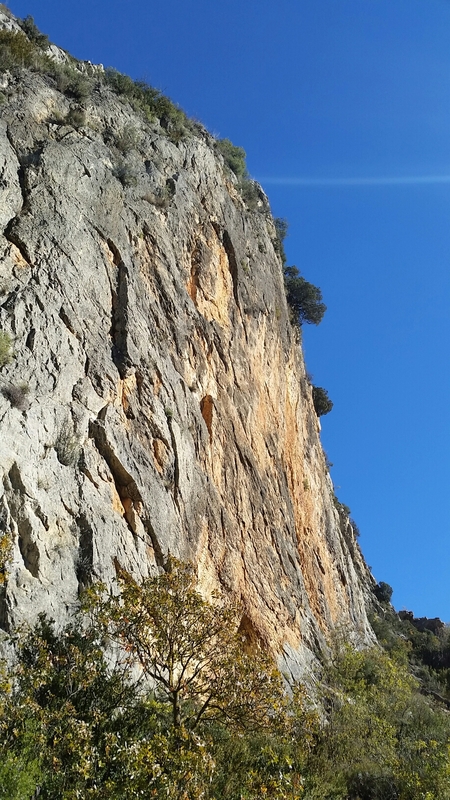 We’d recced this crag on our drive through Aragon on our accommodation spotting trip – impressive orange wall set in a narrow gorge above a near deserted road. Looked promising…. Probably the main thing to recommend the place is some fun, juggy easy routes on bulging conglomerate – good for someone recuperating a poorly finger. 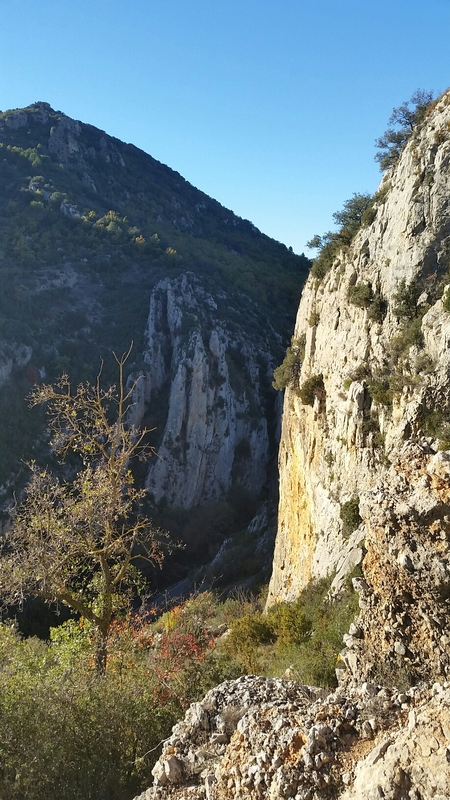 The steep orange wall turned out to be really quite loose, and very little traveled.